Buy the flavor combinations guide (digital or print)! Pure perfection with bacon, cheese, homemade bigmac sauce, pineapple and another special sauce! Almost 10 years of trial&error, dedication, and perfection condensed in 1 burger! The dish I’m best known for! And my personal ultimate guilty pleasure! Thank you all sincerely! Your support is what keeps me going! But with this big milestone being taken, one more thing has to change: I will start using a real camera… Yes, I have to admit that all pictures until now where taken with my phone! Not that there’s anything wrong with that, but this milestone is the perfect opportunity to take this journey another step further. 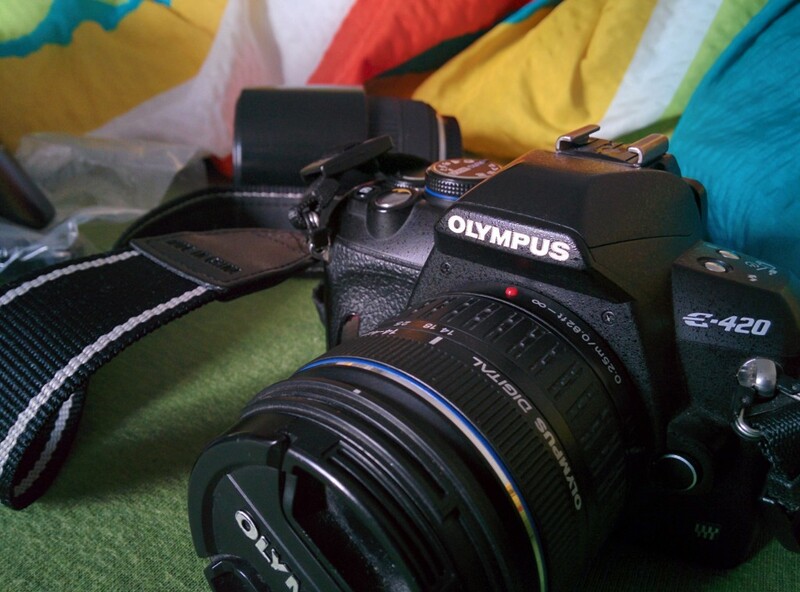 My dad was so kind to lend me his DSLR, which I started to use this morning. A few more pictures will be posted that were taken with my trusty phone, but gradually I’ll move over to the real stuff. But back to this gorgeous hamburger! People often ask me: “what is your signature dish?” – personally I don’t really like that question, as it places one in a very particular corner, leaving you with very little potential to grow further and explore yourself. 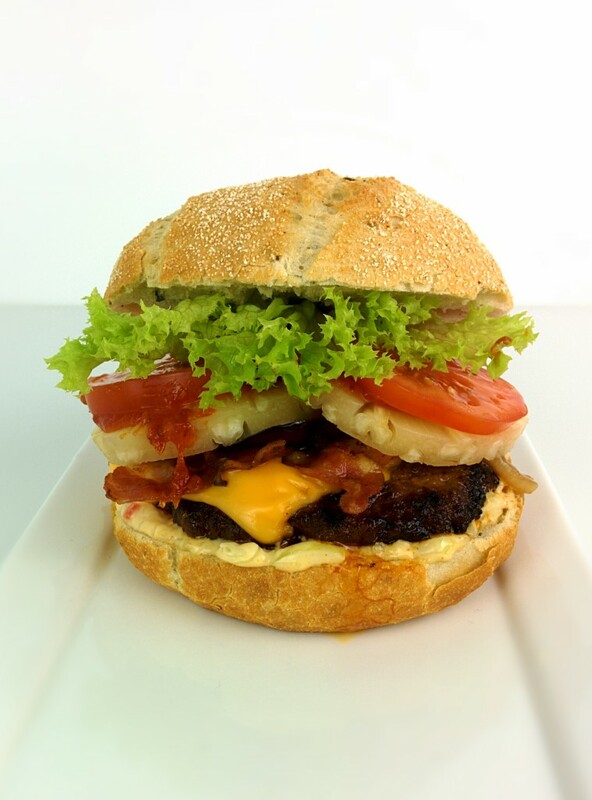 Still, I guess I have to admit that my signature dish probably is a good old hamburger – the one you are seeing here. I can’t remember how often I’ve made these… But surely more than a hundred times! Back when I was at university, I made these with my buddy Marius practically every single week! A good burger, some curly fries, some beers and a good movie. What more can one ask for? Over the years I have perfected this burger! There is nothing on it that doesn’t add anything in terms of flavor and depth. The combination of sweet and savory is just amazing and everything just goes so well with each other. I am already drooling again while typing this… Though it looks like a lot of ingredients, most of the stuff is probably already in your fridge and pantry. If you are fast you can whip these bad-boys up in 15 minutes! The most time efficient way to do it: Start with the bacon and onions and make the two sauces while the bacon cooks. Remove bacon and onions from pan, griddle the patties in the same pan. These burgers represents almost 10 years of cooking dedication. Give them a try – you will surely not regret it! My famous burgers with bacon, cheese, homemade bigmac sauce, pineapple and another special sauce. Pure perfection! Chop the onion as fine as you can. In a bowl, combine chopped onions with all other ingredients, season with salt and pepper and mix well. When the bacon starts to brown on the edges, flip the bacon slices. Add the sliced onion into the pan. Bake for another 2 minutes. Splash in the Worcestershire sauce, stir until everything is coated. Brown for another minute. Remove onions and bacon from pan. In a small pot, combine the ketchup, sugar and mustard. Place on medium-high heat and stir until you cannot hear the sugar anymore. Remove from heat. Place a grill pan on high heat until it just starts to smoke (use the pan that you used for the bacon). Put your patties into the pan. Reduce the heat to medium-high. Watch the side of the patties for doneness. When you can see that the patty is cooked through about 1/3rd at the bottom, flip the patty and put a slice of cheese on top. Cook the patty on the second side for about the same time you cooked it on the first side. The cheese on top will be nice and gooey then. Putting everything together into an edible piece of art! Halve the buns and put a big dollop of homemade bigmac sauce on the bottom half bun. Place the medium-rare grilled patty on top, followed by the bacon and onions, a slice of pineapple, tomato slices, a portion of the special sauce and the lettuce. Seal the deal with the top bun. Enjoy these burgers with a nice beer and some curly fries! Tell me this isn’t the best burger you’ve ever had! Also, check out Marius’ award-winning street photography! Johnny from InJohnnysKitchen will use the information you provide on this form to be in touch with you and to provide updates and marketing. What are you interested in? You can change your mind at any time by clicking the unsubscribe link in the footer of any email you receive from me, or by contacting us at johnny@injohnnyskitchen.com. I will treat your information with respect. For more information about our privacy practices please visit my website. By clicking below, you agree that we may process your information in accordance with these terms. Getting all the nutrients – on a budget!